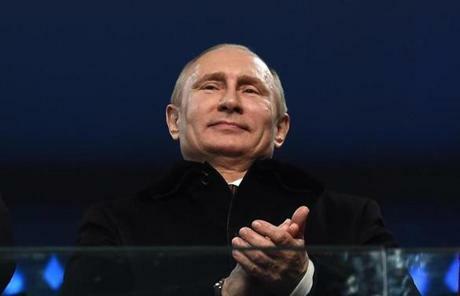 Russian President Vladimir Putin clapped during the Opening Ceremony. 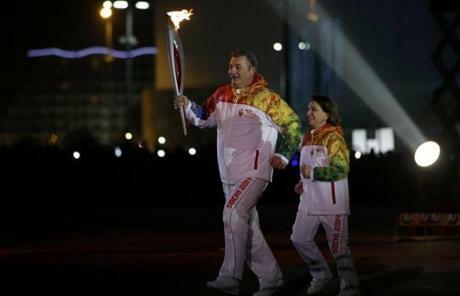 Former hockey player Vladislav Tretiak and former figure skater Irina Rodnina lit the Olympic Cauldron. 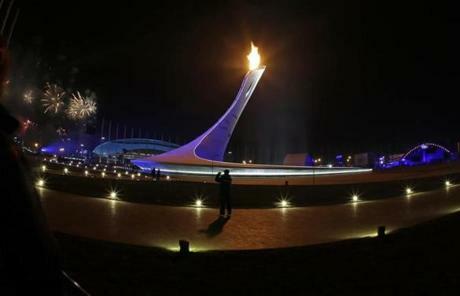 Flames shot up the cauldron as it was lit. 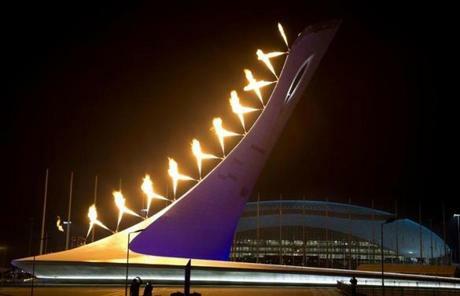 Fireworks went off after the Olympic Cauldron was lit during the Opening Ceremony at the 2014 Winter Olympics in Sochi. 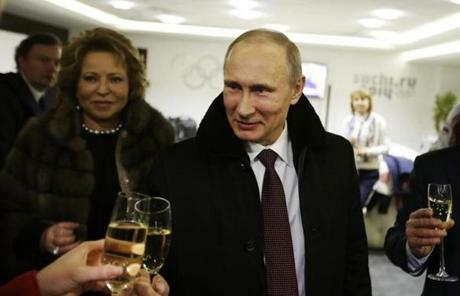 Putin toasted guests in the presidential lounge after the ceremony. 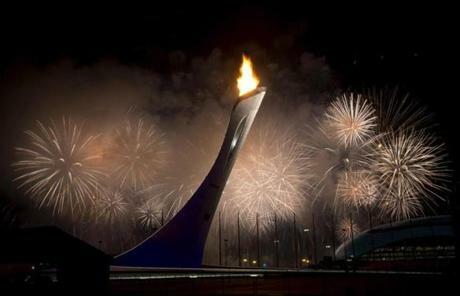 Russian tennis star Maria Sharapova carried the torch during the ceremony. 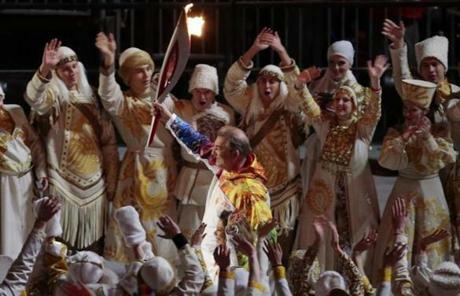 Russian hockey great Vladislav Tretiak carried the torch during the ceremony. 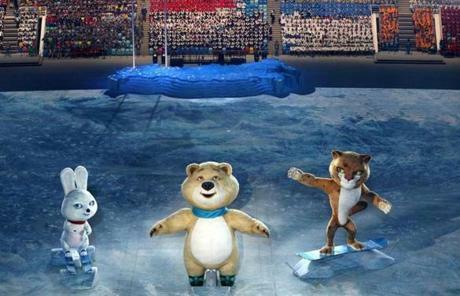 The mascots of the 2014 Winter Olympics in Sochi were displayed. 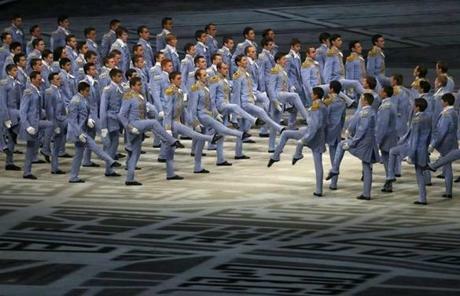 Slovakian flag-bearer and Boston Bruin Zdeno Chara led his country's contingent at the Opening Ceremony. 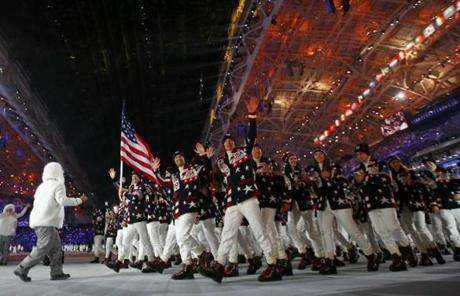 Flag-bearer Todd Lodwick led the US delegation during the Opening Ceremony of the 2014 Winter Olympics in Sochi. 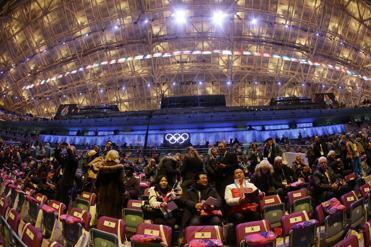 Russian athletes entered the stadium during the Opening Ceremony Friday in Sochi. 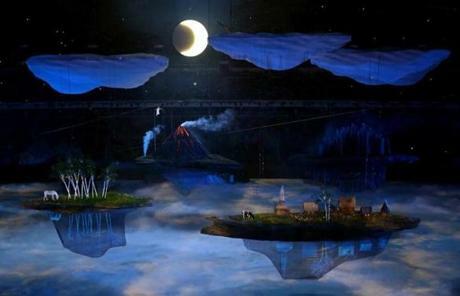 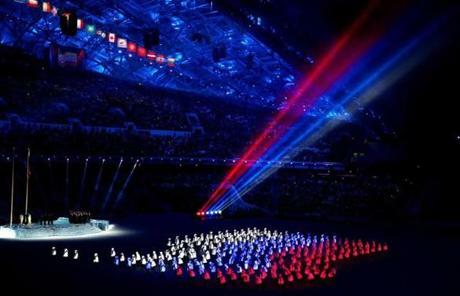 Artists performed during the ceremony. 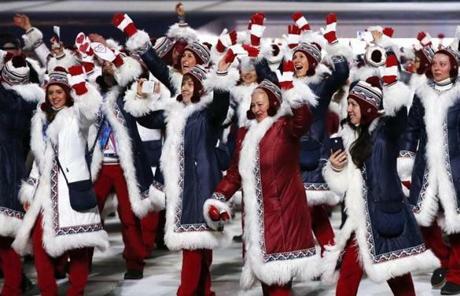 Music, dance, and plenty of Russian bravado were part the ceremony. 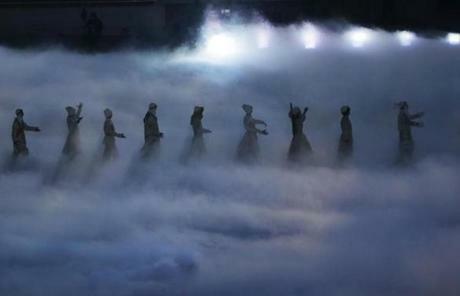 The ceremony was Russia’s chance to tell its story of post-Soviet resurrection to the world. 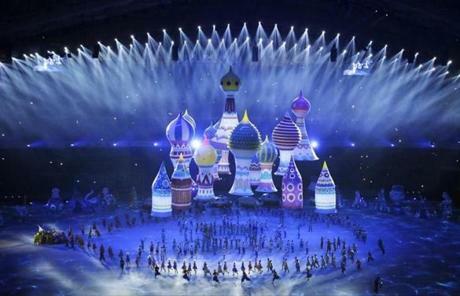 The Opening Ceremony of the 2014 Winter Olympics kicked off Friday in Sochi, Russia. 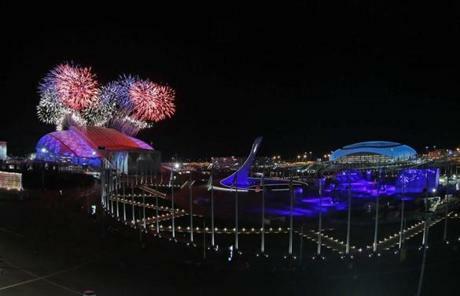 Fireworks went off over the Fisht Olympic Stadium at the start of the Opening Ceremony in Sochi. 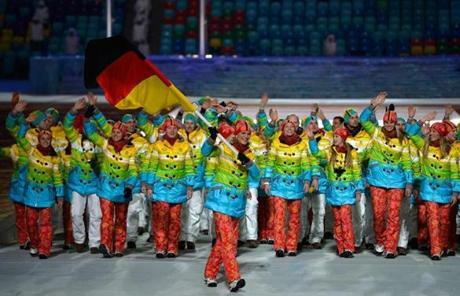 Skier Maria Hoefl-Riesch of Germany carried the country's flag during the Opening Ceremony. 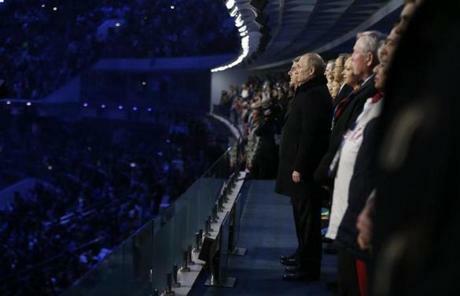 Russian President Vladimir Putin stood during the playing of the Russian national anthem. 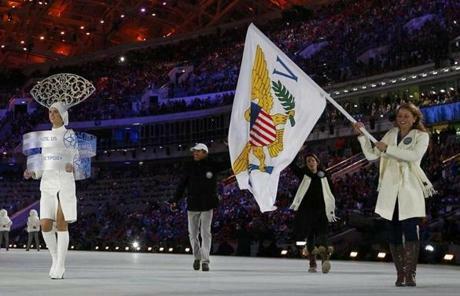 Flag-bearer Jasmine Campbell of the US Virgin Islands led her country's contingent. 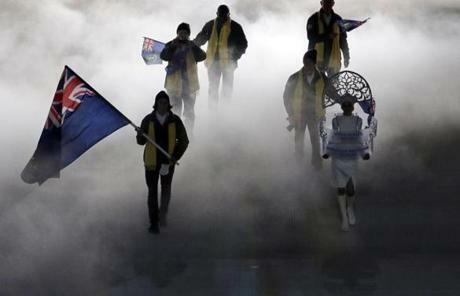 Peter Crooks of the British Virgin Islands held his country's flag. 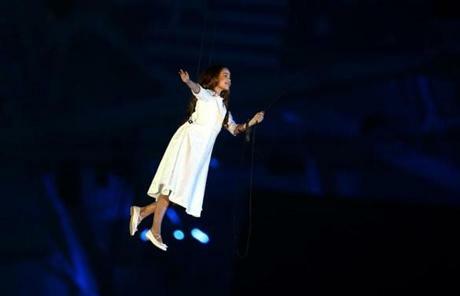 Liza Temnikova performed during the Opening Ceremony. 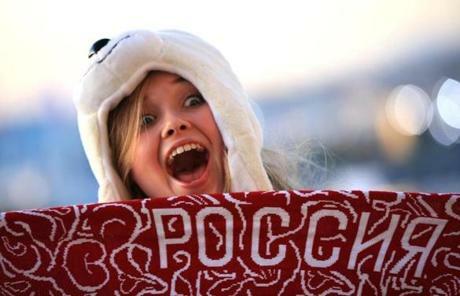 Liza Temnikova performed "Voices of Russia" during the Opening Ceremony. 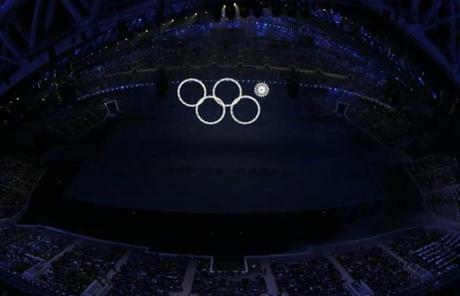 One of the Olympic rings failed to open during the ceremony. 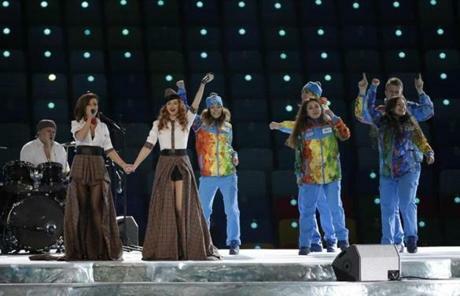 Yulia Volkovaa and Lena Katina of Russian pop duo Tatu performed before the start of the Opening Ceremony. 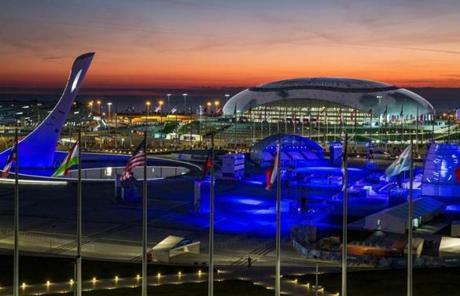 A view of Olympic Park Sochi shortly before the Opening Ceremony of 2014 Winter Olympics at the Fisht Olympic Stadium. 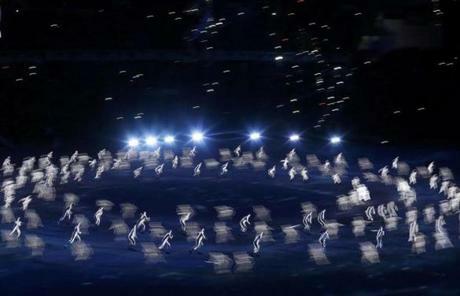 Spectators arrived at the Fisht Olympic Stadium before the start of the Opening Ceremony. 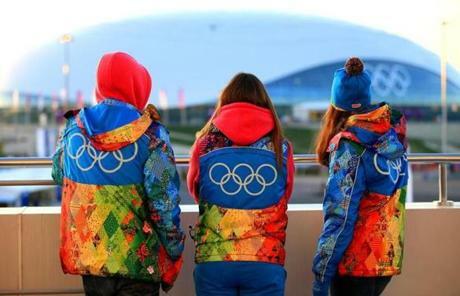 Fans made their way to the stadium for the Opening Ceremony. 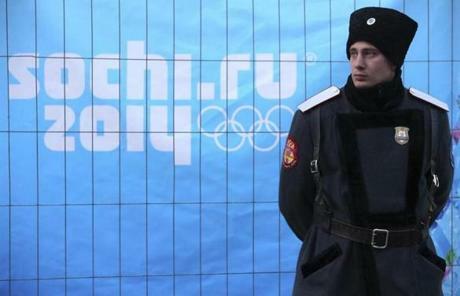 A Russian cossack stood guard on a street in Rosa Khutor. 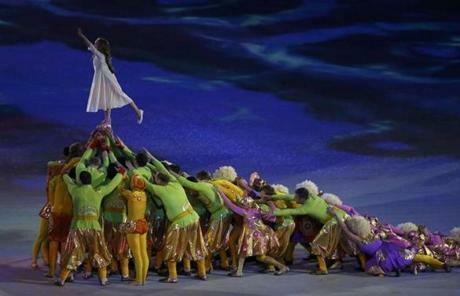 A woman posed as she arrived for the Opening Ceremony. 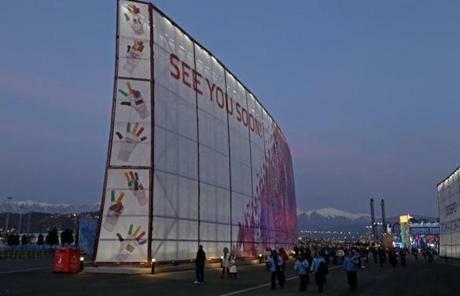 People waved before the Opening Ceremony. 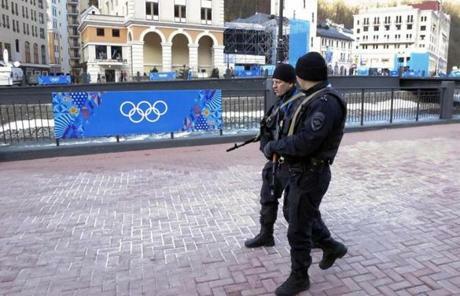 Russian security forces in Rosa Khutor on Friday. 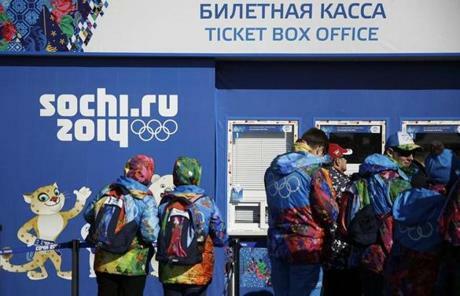 Workers lined up outside a ticket box office in the Olympic Plaza in Sochi. 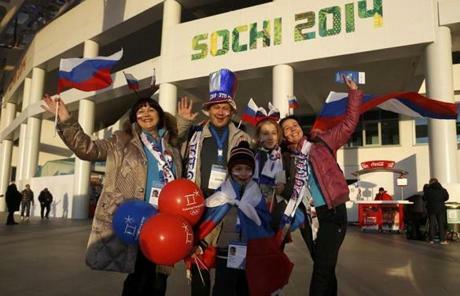 People looked towards the Bolshoi Ice Dome as they arrived for the Opening Ceremony. 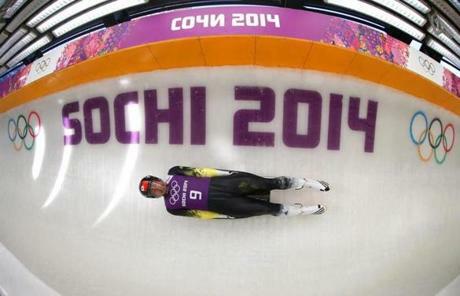 Bruno Banani of Tonga during a men's singles luge training session on Friday.